Legend had been receiving a lot of reviews for some time now and as a curious reader this had been sitting for ages in my TBR list. Then this week, a miracle happened and it’s as if someone whispered into my ear to finally give this a try. It was a little bit frightening, considering the high expectation I’ve set for this book. And my expectations may have been one of the reasons why I didn’t find it as good as I’ve expected. 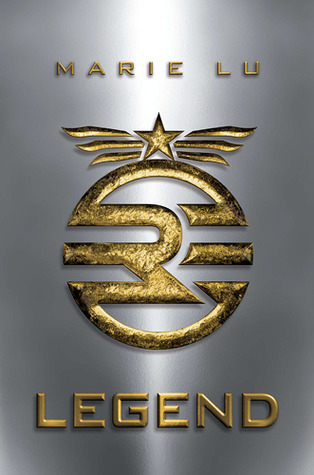 Legend is the first book in the trilogy. It’s a dystopian novel, set in Los Angeles, California. And for your information, it’s not the glamorous LA. It’s LA after the chaos. Society was divided into the rich and the poor. There were several rebel groups that were trying to out throw the present government, which is called the Republican. There are the Patriots and the bigger group, which is the Colonies. Each citizen will take the Trial once they turn ten. The result of the trial is crucial because it will determine your future. You get a score of 1500 points (which is a perfect score), well and good. No one’s ever gotten this – except for some kid a few years ago who the military made a goddy fuss over. You get a score between a 1450 and a 1499 – You’ll get instant access to six years of high school and then four at the top universities in the Republic: Drake, Stanford, and Brenan. The Congress then hires you and you make lots of money. A score between 1250 and 1449, you get to continue on to high school, and then you’re assigned to a college. A score between 1000 and 1249 – Congress bars you from high school. You join the poor. You’ll probably either drown while working the water turbines or get steamed to death in the power plants. You FAIL. – The Republican sends officials to your family’s home. They make your parents sign a contract giving the government full custody over you. An inferior child with bad genes is no use to the country. If you’re lucky, Congress will let you die without first sending you to the labs to be examined for imperfections. The country is also headed by the Elector Primo (equivalent of the President). Every house is required to have a picture of him on their walls. Every day, citizens are required to recite the pledge to the Elector Primo every time it flushes on the JumboTrons (these are lice giant LCDs posted at several parts of the country). I pledge allegiance to the flag of the great Republic of America, to our Elector Primo, to our glorious states, to unity against the Colonies, to our impending victory! The main characters were June Iparis and Daniel Altan “Day” Wing. The two came from different worlds. One had only seen the world from the Republican’s point of view, while the other had been a victim at such a young age by the Republicans. June Iparis is a child prodigy who holds the record of the only child to score a perfect score in the Trial. She’s from a wealthy family but she was only left with a brother after their parents died in an accident. She doesn’t want to be confined inside the school and she always wants to expand her skills that’s why every time she gets a chance to test her skills, she does it even though it will mean breaking the rule of the University. Somehow, Day’s escapade had gotten into her. But this changed when her brother was murdered while on duty. Daniel Altan “Day” Wing was a victim of the Republican’s cruelty. Despite his intelligence, he didn’t manage to pass the Trial, him a target for the Republican’s experiment. He managed to survive and became a street scavenger at the age of ten. His skills were a product of years of practice. And throughout his years on the street, he managed to perturb the Republican and became the most notorious criminal in their eyes. Nobody knows his identity. Even his fingerprints were not on the system. No one knows his name and his face because every time he accomplishes a crime, he wears a disguise. Somehow, the two prodigies met on an unfortunate circumstance. The girl, on the hunt for the notorious boy, who killed his brother. While the boy was on the hunt for fortune, enough to buy the plague vaccine to save his youngest brother. But when the girl got into some trouble, the boy was there to save her. They never expected to connect with each other. Each day means a new twenty-four hours. Each day means everything’s possible again. You live in the moment, you die in the moment, you take it all one day at a time. You try to walk in the light. Thrown together, the girl will uncover secrets she cannot unlearn. Secrets that will change her beliefs. Secrets that will betray her trust towards the government. Succeeding in capturing the boy did not feel like a victory after all. She may deny it a hundred times, but she knows the guy’s theory hit the target. Something is definitely brewing and she knows she has to do something to stop it. I’m a prodigy who knows the truth, and I know exactly what I’m going to do. I’m going to help Day escape. One of the remarkable characters in this books is Metias, Iparis’ older brother. A brilliant hacker who found out something that led to his death. I was seriously amazed by the way he left his message for Iparis. That was totally ingenious. And I guess, we’ll continue to encounter Thomas, the traitor friend. I really think I’ll hate him more in Prodigy. There’s also Tess, who I think harbors special feelings towards Day. And of course, there’s Kaede. The fierce female fighter who became their bridge to ally with the Patriots. 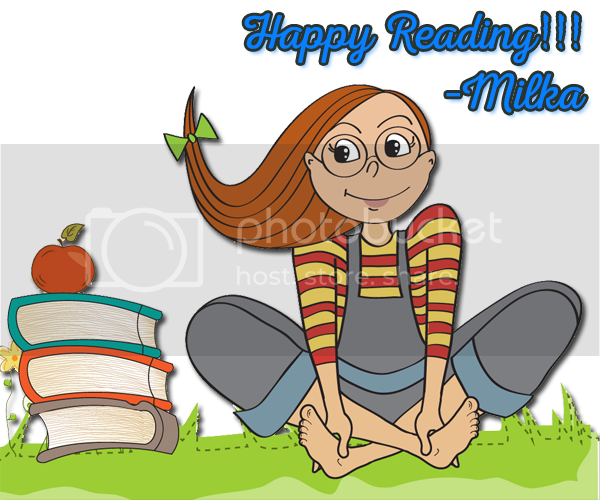 Overall, the book was okay. It was fun reading it, although I find some of the “supposed twists” predictable. The plot was not elucidated, unlike in the other dystopian novels I’ve read. That was part of the reason why I didn’t enjoy it as I would have expected to. I just hope there was an intro as to what happened before their current setting. I wish I’ll find out more in the next book so that I can really connect more with the whole story.